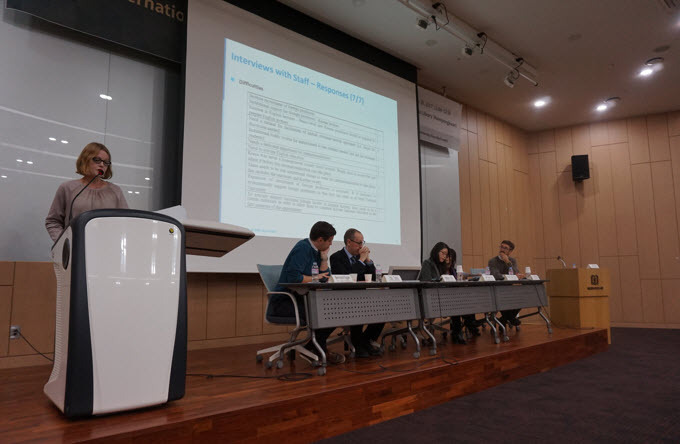 On Thursday, November 30, the SNU Diversity Council held a forum at the Kwanjeong Library titled “Internationalization of SNU: Quo Vadis?” to address the issue of integration of the international faculty at SNU. A team of nine SNU faculty from different colleges joined this past October to address issues concerning the internationalization of SNU. In 2007, international faculty members constituted barely 2% of the entire faculty body at SNU, which rose to almost 5% in 2011. With this steady increase, the percentage of international faculty was expected to reach the 10% mark by 2016. In reality, however, the numbers have plateaued and have even slightly declined over the past few years. One of the project’s core tasks was to investigate the problems facing the recruitment and retention of international faculty at SNU. The research team distributed two surveys -- one to international faculty members and another to staff -- and conducted voluntary follow-up interviews. This past October, Professor David Wright of the Department of Archaeology and Anthropology had identified the main issues facing international faculty as communication (or more specifically, the language barrier), academic culture, and opportunities for promotion. The results of the Diversity Council’s survey, which were presented at the forum, provided statistical confirmation of this. With nearly 80% of the international faculty surveyed reported being uncomfortable with not having received a salary offer at the time their hire. 89% attested to being uninformed about research funding opportunities, a key factor in tenure and promotion. A majority of international faculty reported a lack of availability of officials rules and regulations, which are usually only in Korean, or are otherwise difficult to access. On the positive side, 76% of international faculty respondents stated that they were glad to have joined SNU and over half reported being satisfied with both their professional and personal lives. The majority cited effective integration and high levels of cordiality within their departments as reasons to work here at SNU. Among staff at SNU, there was an overall positive attitude toward the hiring of international faculty with 87% reporting that international faculty were a “positive addition to SNU.” However, staff members consistently reported difficulty in communicating with international faculty and strongly reported a need for support in training in the form of foreign language courses and courses on different cultures and global attitudes. The committee proposed that the maintenance of up-to date English versions of all rules and regulations, better means of communication with administrative staff, and more support for housing and education for the families of the international community would greatly ease the challenges that international members of the SNU faculty body face. 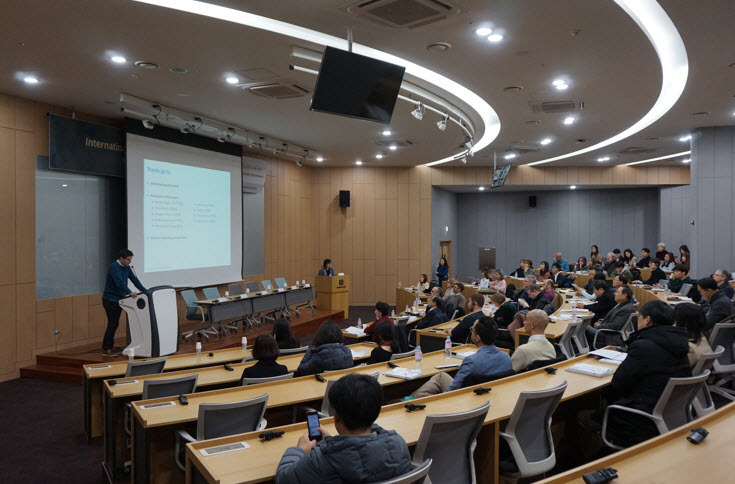 In order for SNU to fully realize its goal of internationalization, there must be better collaboration between the international community and the administrative staff.